In the brand new Destiny 2 Curse of Osiris expansion, one of the new missions you can undertake is the Garden World Strike. In this complete Destiny 2 A Garden World Strike guide, we'll have all the info you need to complete the new Strike as quickly and smoothly as possible. But should you instead need anything else on the new Curse of Osiris expansion, including how to access all the new content, as well as a guide to the new Mercury hub area, head over to our Destiny 2 Curse of Osiris guides hub. 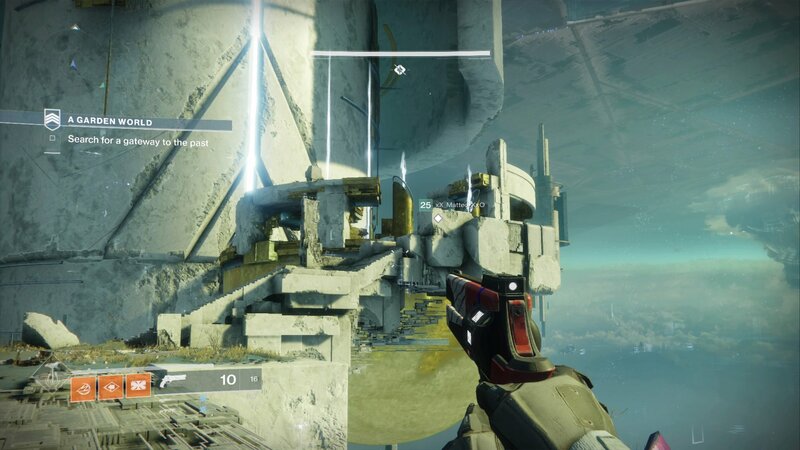 For starters, you might have noticed that the Strike has the same name as the Garden World campaign mission, which saw you climbing to the top of a large Vex structure in order to recover a map. This is because the Garden World Strike is almost exactly the same as the campaign mission, featuring mostly the same enemies in the same locations. Nonetheless, you'll still want to make sure you're carrying some single shot weapons that can pack a punch against the Vex, as strong hand cannons and similar weapons are great for taking out Vex Goblins and Hobgoblins. 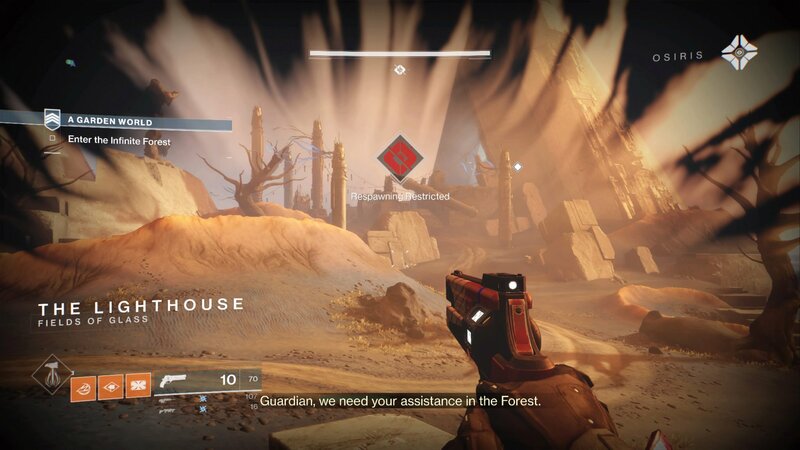 To start off the Strike, you'll find yourself among the Infinite Forest, where you'll have to open gates to continue onwards, and defeat all the Vex and Fallen that you encounter along the way. 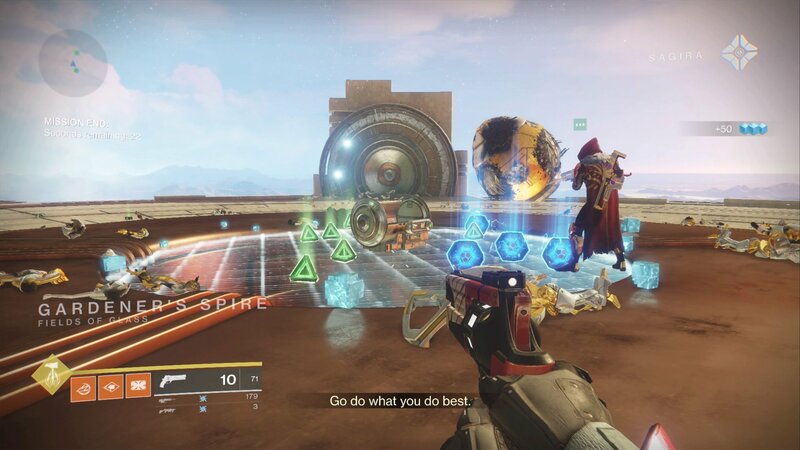 There aren't many difficult enemies here, but take care not to let your Fireteam get seperated and overwhelmed by the sheer number of enemy minions. Once you've eventually made it through the Infinite Forest, you'll find yourself back on Mercury, in the titular Garden World location. 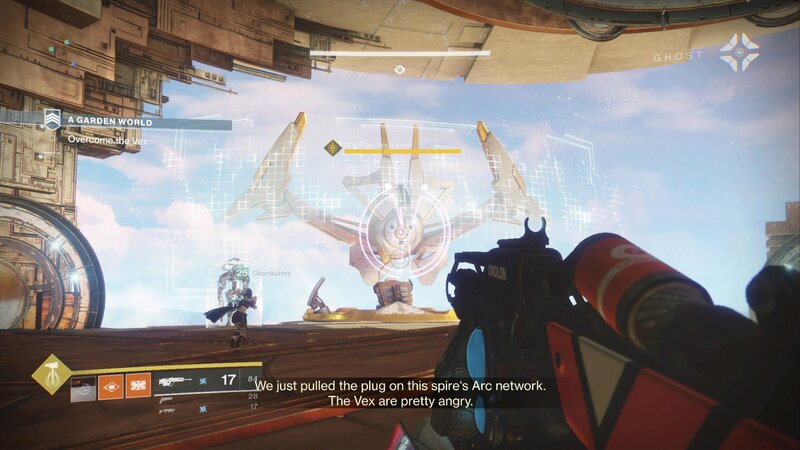 Here, you'll have to take down both Vex and Cabal troops, as well as some tough Vex mini bosses. Whenever you see a Vex mini boss that can't be harmed by conventional weapons, you'll need to look for the nearest white, transparent dome on the ground, and head inside it. Once inside, you can look up and destroy the cuboid object in the air, cutting off the shield from the Vex mini boss. Just like you did in the Garden World campaign mission for the Curse of Osiris expansion, you'll have to use multiple gravity lifts to proceed up the tower. Don't worry about jumping on them at the right angle, as they'll always correct your course to have your whole Fireteam land in the same, correct location. The boss fight at the very end of the Garden World Strike can actually be difficult, particularly if you're not paying attention to your surroundings. While you obviously need to focus your fire on the Root Mind boss itself, you'll also need to constantly be dealing with the multiple Vex Goblins that spawn into the arena from the portals along the edge of the area. 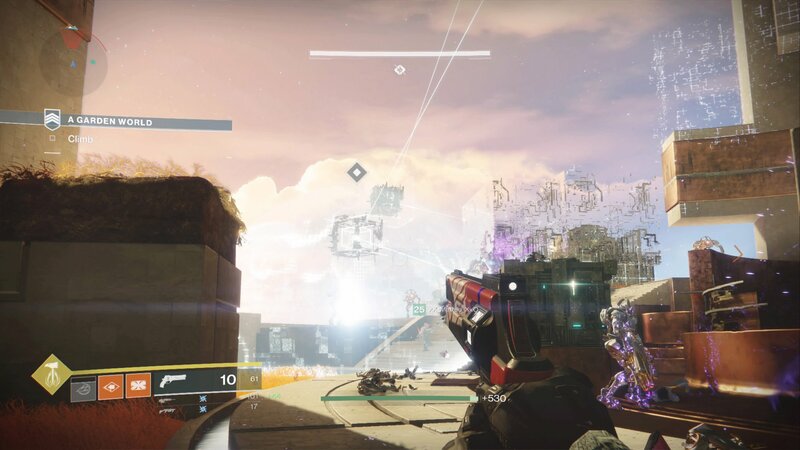 We'd recommend having your Fireteam spread out across the arena, making sure there's always a piece of cover between them and the boss, so they can deal with the other Vex without being shot in the back. The Root Mind boss does have a fairly deadly purple laser beam, but apart from this it's actually fairly easy to take down, provided you've saved up enough Power ammo along the way. This marks the end of our guide to the Garden World Strike, but why not continue ahead to our Mercury Public Events guide, where we'll walk you through how to beat the brand new event in the new hub area, and recover some precious Mercury Tokens.